Orcs are a terrifying race, to be sure. But few masks capture that terrifying appearance half as well as this Monstrous Green Orc Mask. With its fine details, this is one mask that is sure to scare those you meet half to death! 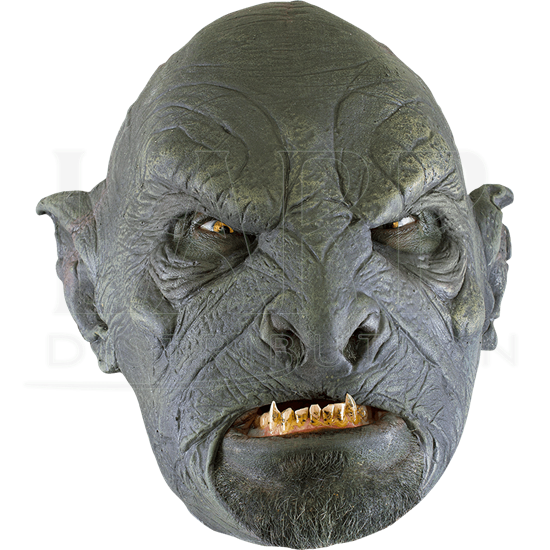 Dark green coloration makes this mask a classic vision of the orc race, complete with creased and scarred skin worthy of such a savage and war-like monster. It is crafted from high quality latex, with open eyes and an open mouth for added convenience and a comfortable fit. 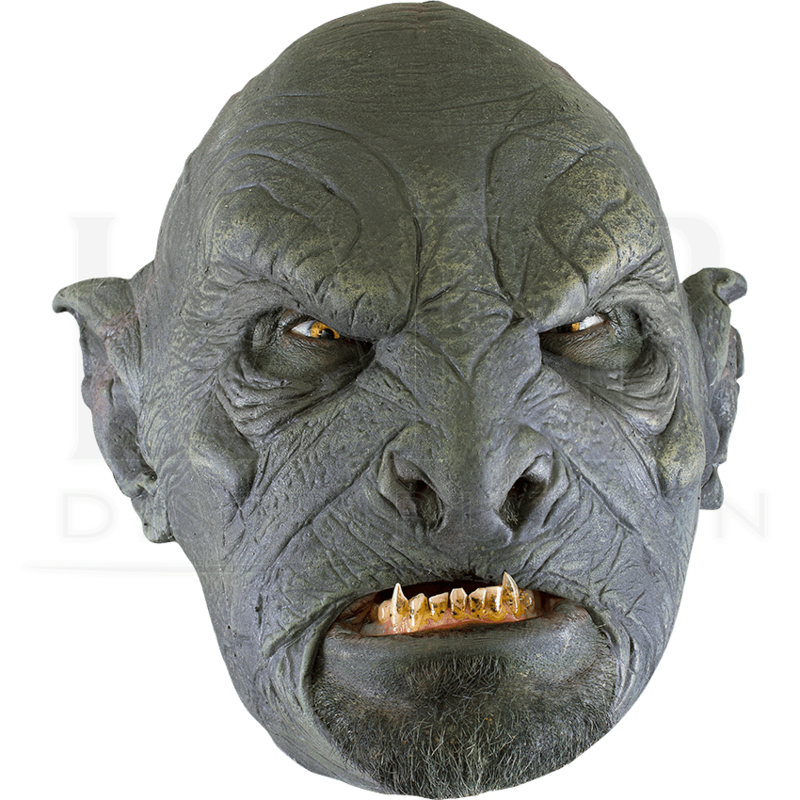 With the aid of this Monstrous Green Orc Mask, transforming yourself into a deadly and frightening orc from the darkest corner of fantasy has never been so easy!